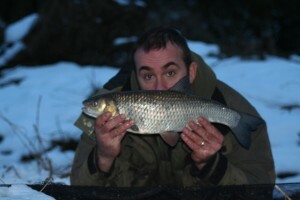 Chub Fishing in Winter…It Snow laughing Matter!! Chub fishing in the miserable frigid depths of midwinter can sometimes be what I would call “not that pleasant”, it looks good and all that jazz and makes for fantastic photo opportunities but in reality it is rather crappy to fish in. 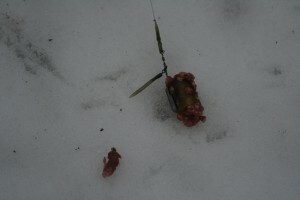 Snow and ice are slippery, wet and cold and deep frost renders everything into flesh gouging rasps should you fall down! Frost bite and extreme cold in this day and age though should be a thing of the past, we are spoiled for choice when it comes to getting hold of decent thermals at reasonable costs. I am currently wearing a fusion of Korum and Nash and if it gets really really cold I put a Wychwood all in one four-season job on as well. 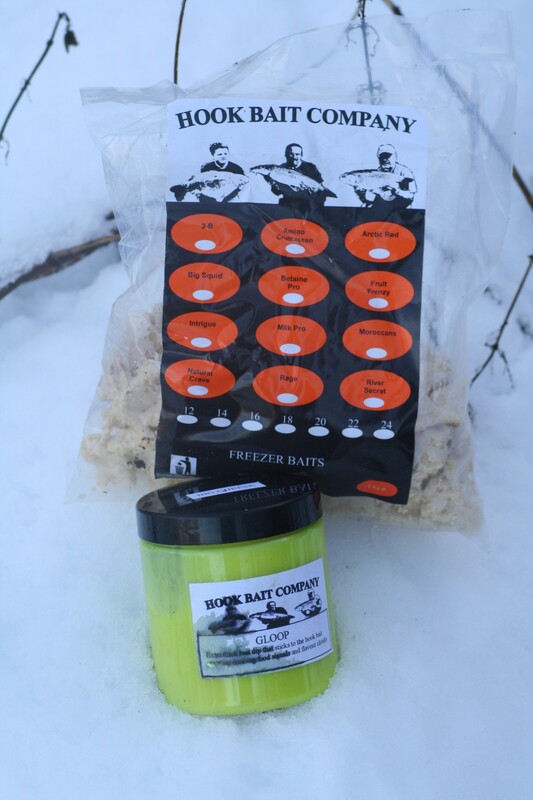 Cold is the enemy and must be defeated, cold slows the brain down and prevents the angler from making swift decisions, decisions that can be the difference between catching and blanking. 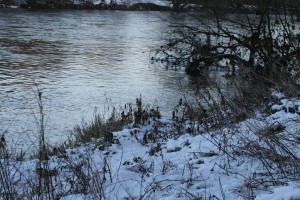 This recent snow we have just come through did not deter me from wetting a line, I did however realise that I had an extremely short weather window in which I could confidently expect to catch something because once the thaw that was forecast to arrive “arrived” it would all be over until the river settled to something like normal. 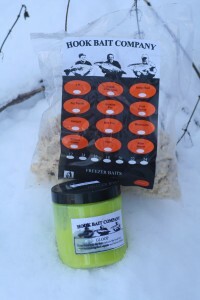 Bait and tactics would be on two lines of attack, The Hook Bait Company’s “bread fake” and the accompanying ”Big Cheese” pot of fluoro-puke dip, which smells worse than the underarms of a three day old dead tramp! Seriously this stuff is rank, proper vile smelling…but it works. So it is all good, it isn’t like we have to go to bed with partners that smell of the stuff now is it? Unfortunately our partners do hence the reason I had to wash my hands in a mild solution of caustic soda before being forced into taking a bath even though it wasn’t my usual bath day and to make things worse the bath had been infused with jasmine oil and Ylang Ylang petals after I had at the point of a gun been forced into stripping from my clothes and incinerating them along with the bait bag that the “Big Cheese” fluoro-bait puke /bait glug was carried in! 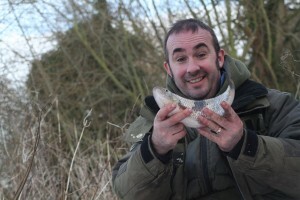 The Bread Fake looks to be very, very useful and I think it will have a serious impact on the barbel come summertime it really is an interesting concept, anyway this stuff would be rigged up as a bolt rigged sleeper bait that I expected to turn up the goods at the last knocking ..I was a bit wrong it went off first cast! 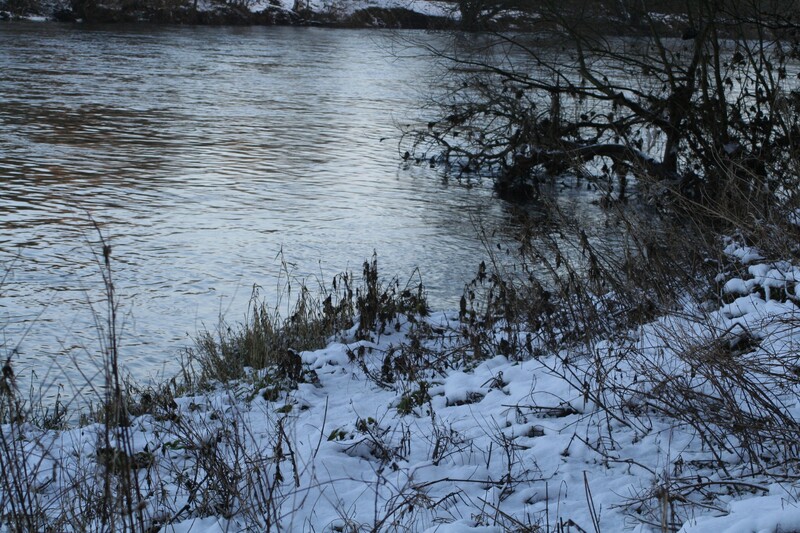 But the swim was a banker swim!would have been more disappointed if it hadn’t gone off if I am honest, I have great faith in certain parts of the Trent and I generally trust my gut instinct when it comes to picking decent pegs. The Bread Fake rig was nothing like what I have been using for the chub fishing of late but this rod was going to be fished blind, all my focus would be on my second line of attack, touch ledgered steak. Touch ledgering takes concentration, so I placed the Bread Fake on one of my Delkim Txi with a bobbin, but I found that I was strugling with the flow and couldn’t spend that much effort trying to balance weight needed to fish a bobbin effectively I think I need one of those “Rollover” jobs that i saw Bob Roberts using for zander fishing. Sometimes something that has been developed for one species shows that it can be used with great effect for another completely different species! Bang! 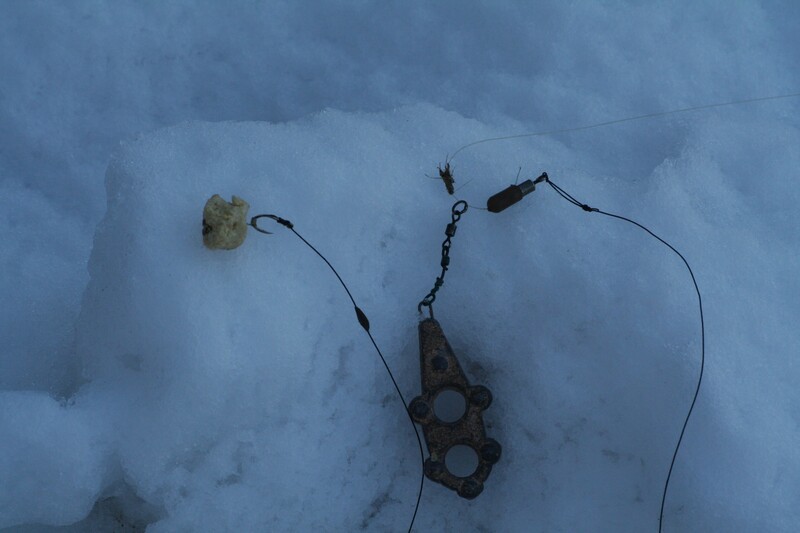 A nice sweeping strike had the rod hooped over into a nice bend, unfortunately the bend soon subsided and it was obvious that fish wasn’t that hefty and so it quickly found that it was wrapped in nylon mesh and laying in the snow! 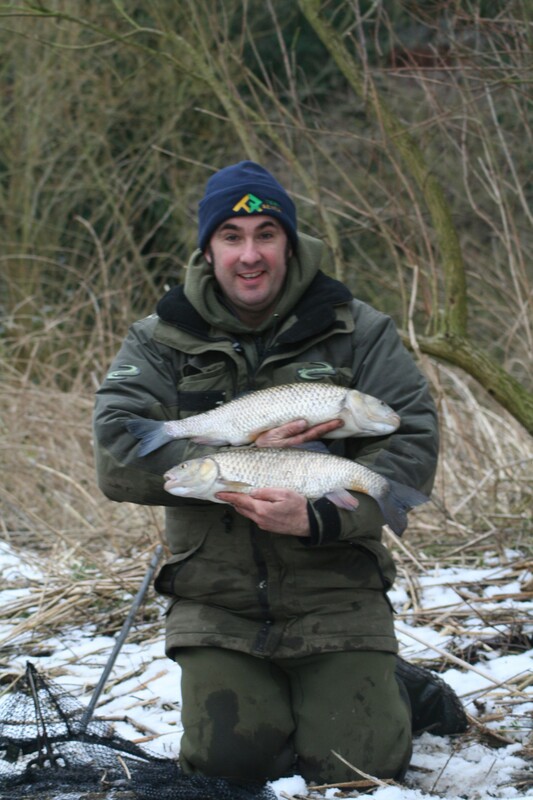 The chub may have gone 2 pounds…It certainly wasn’t going to challenge the CSG ( Chub Study Group) starter for 10 weight of 4lb so I settled myself on Taking a few shots and quickly returning it so that I could get back into the fish! after a good few hours of bite-less non-action I decided that I had to move! Generally I hate moving when I am fishing but sometimes a man just has to do what An man just has to do! 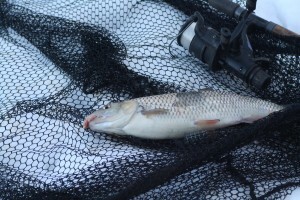 Success followed the move with a decent chub falling foul of the Bread Fake rig after about thirty minutes of waiting…I like bolt rig type bites…I can do them all day ! or all afternoon as the case may be! 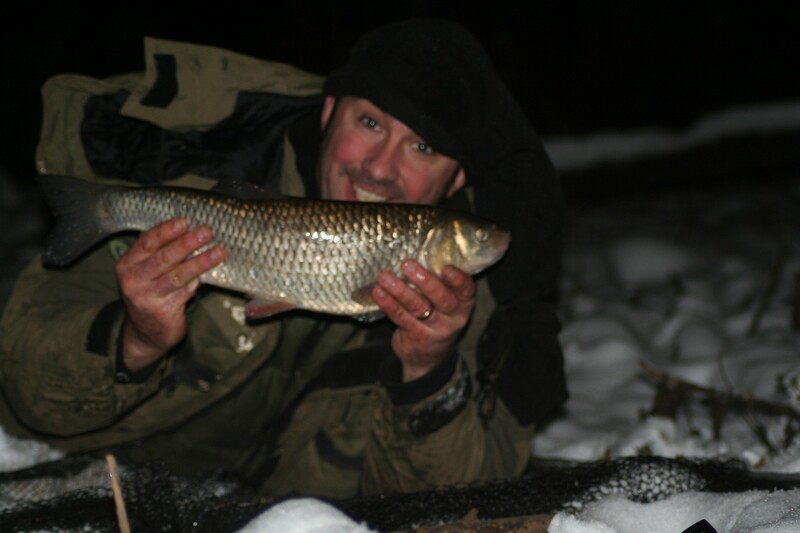 Anyway I had a couple more fish before failing light levels and the inability to find my head torch called a close to the days proceedings…To be honest I had had enough and didn’t really protest that much. 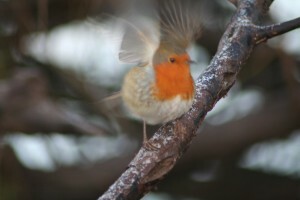 The following morning however would see me opening the curtains onto a drizmal day, warm and wet and not at all white!! And with it my chances of adding anymore fish to my tally! The river finally settled itself at 3.77 meters above normal from the 1.65 it had been on my arrival the day previous. 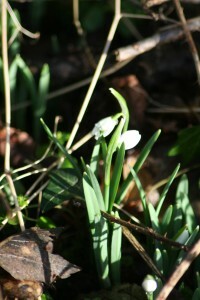 My only consolation was the snowdrops that the receding ice revealed, which proves one thing! 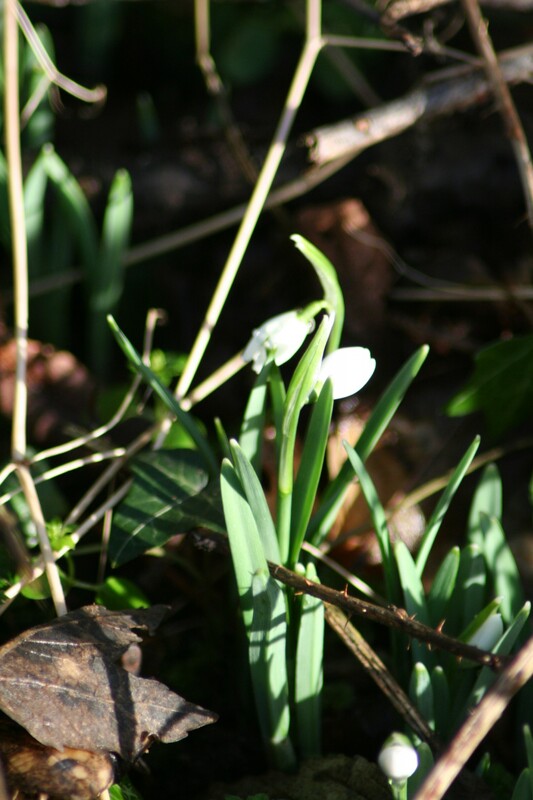 We may get a bit more snow but for all intents and purposes winter is over…Roll on 2013!! Lee ,it certainly was a short weather window of opportunity, with more heavy rain expected this week when will we ever get back on it. I just love winter chubbing, i also like the sound of the Wychwood Onesie….Alan…….. I went after college yesterday, river was 2.5m above normal and for a stream/river which is normally 3m wide that is ridiculous! 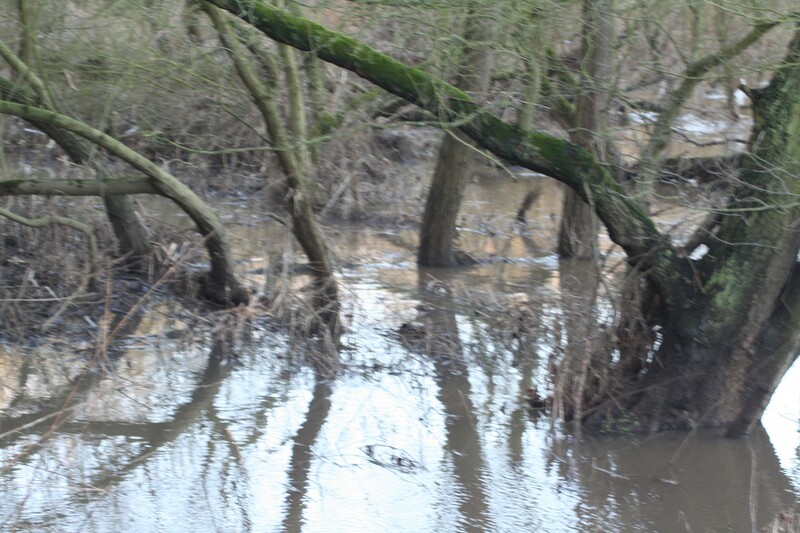 I have never seen the river so high or powerful in my life! I caught a little barbel just as it was getting dark, my best fish of the year. 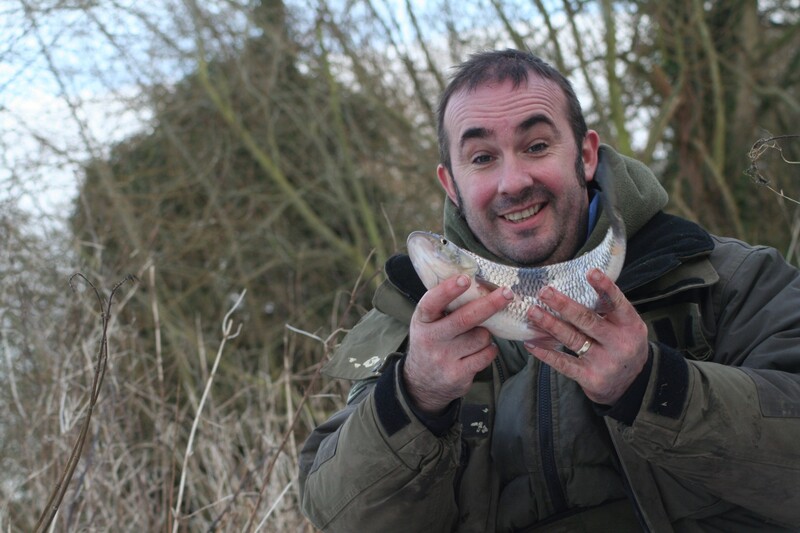 SOOO happy, as I have only caught two barbel from this river in the past!